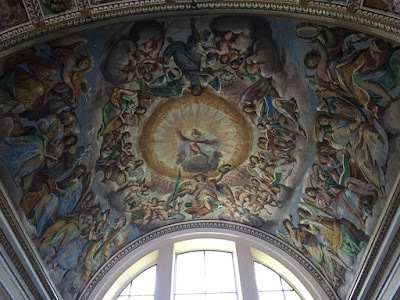 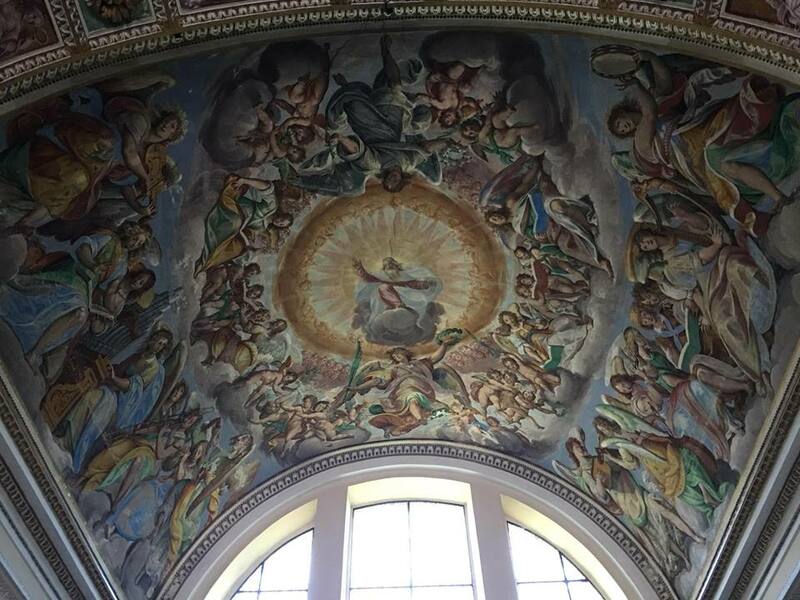 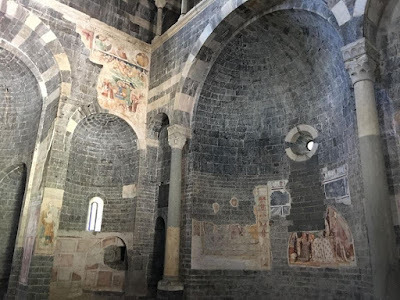 No matter how many trips he makes, Nicola will never run out of pictures to share of Italy’s cultural and artistic patrimony. 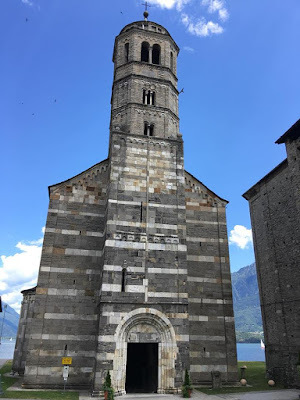 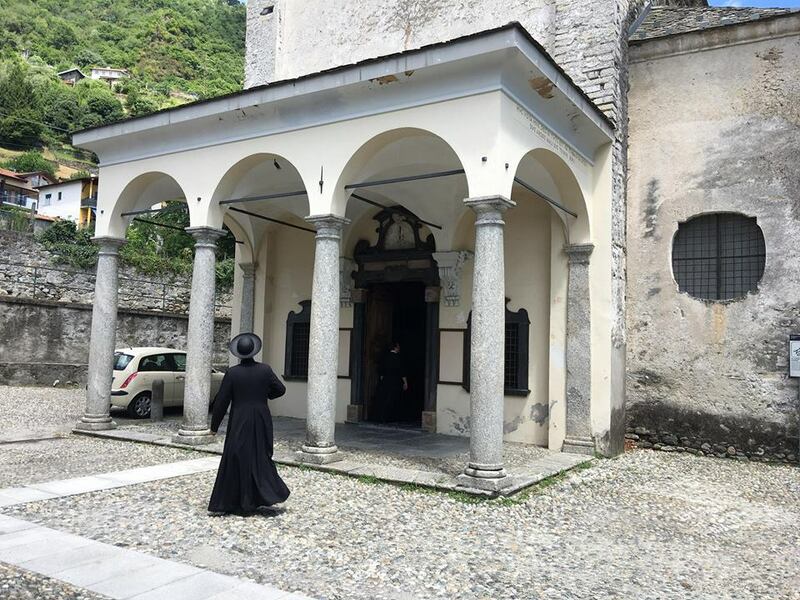 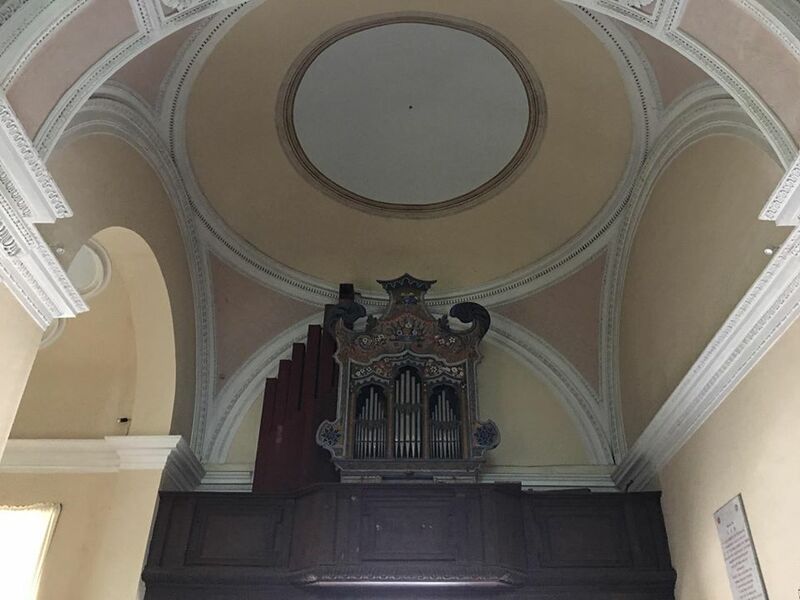 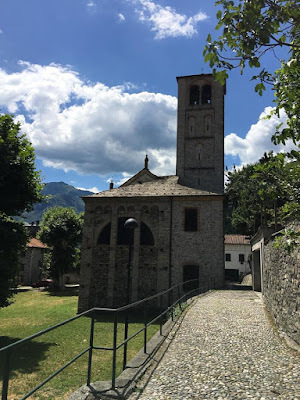 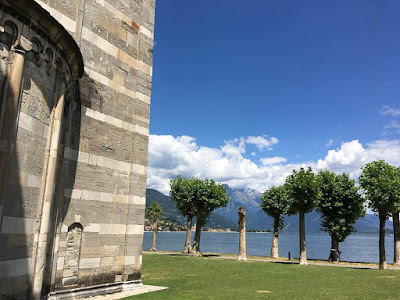 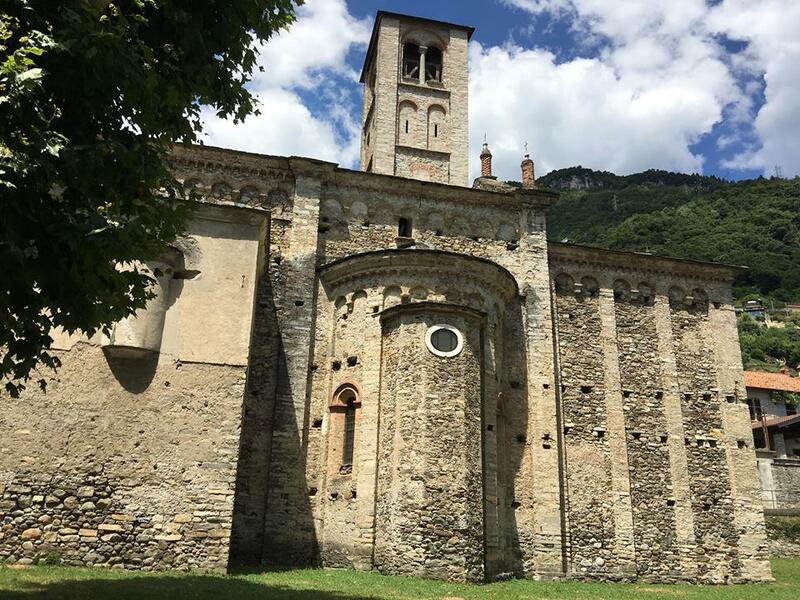 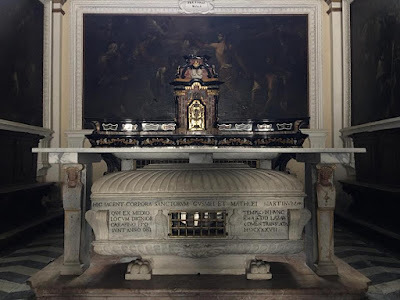 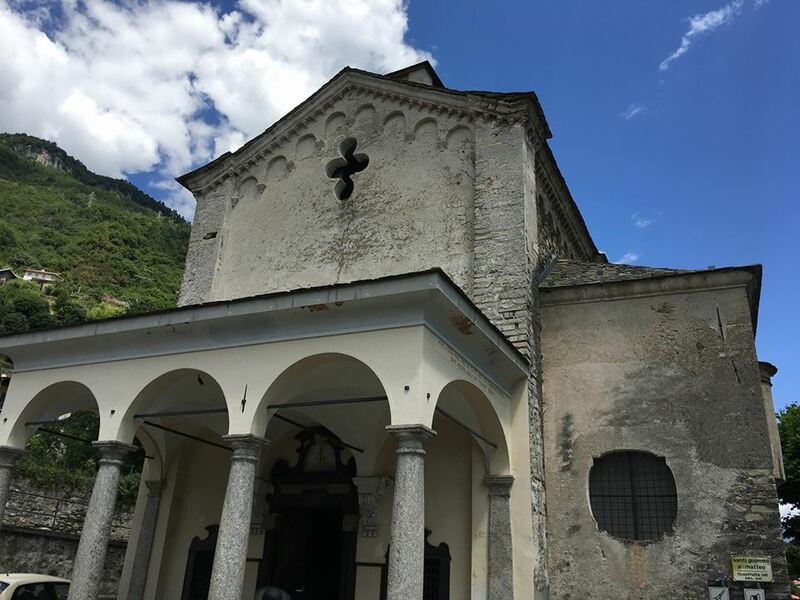 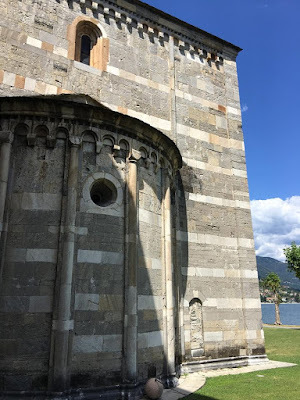 Here are some photos taken in the little town of Gravedona (population 2,752; accent on the o), on the west side of the upper part of the Lake of Como, which has four interesting churches, of which we will show two today and two tomorrow. Gravedona seen from the ferry. 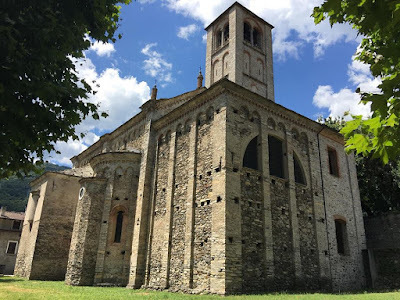 The church on the left with the polygonal apse is called San Vincenzo, a paleo-Christian church rebuilt in the 11th century; the taller one on the right is the 12th-century church of Santa Maria del Tiglio. 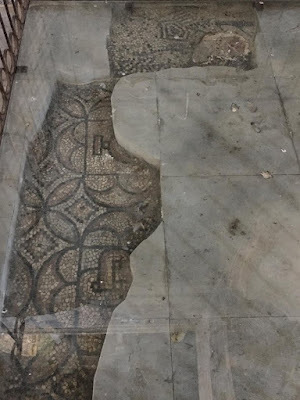 The site was perhaps that of an ancient Roman temple, since both churches incorporate a fair amount of ancient material. 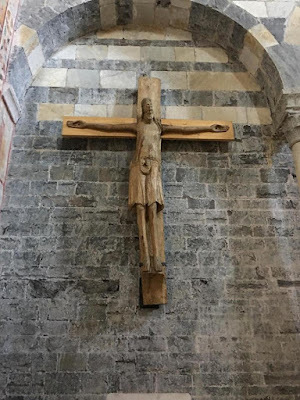 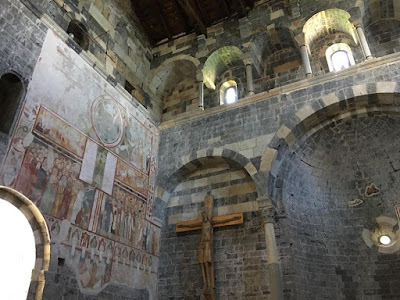 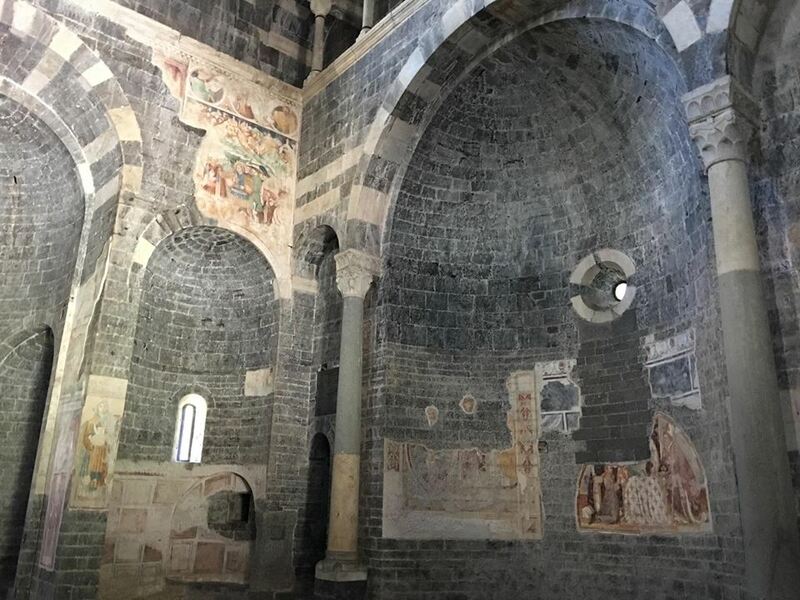 A original Christian structure on the site of Santa Maria del Tiglio was the baptistery of San Vincenzo; much of the material from the baptistery was incorporated into the new church in the 12th century. The new structure is a Greek cross, with apses on three sides; the position of the bell-tower over the façade is unique in Lombard architecture, but the tower itself is very typical of the Italian Romanesque, with windows getting larger as they ascend. 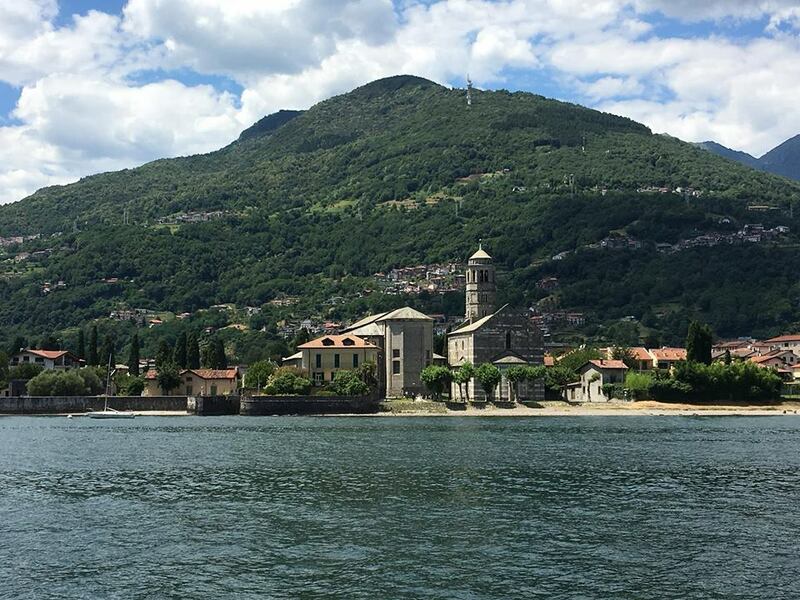 Looking back across the lake. A Crucifix of the 12th century. 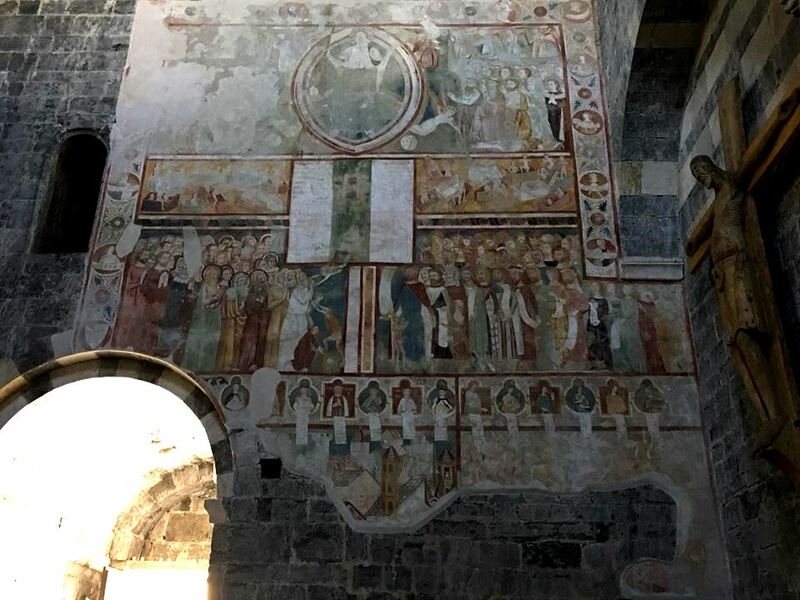 A fresco of the Last Judgment on the counterfaçade, 14th century. The left apse of the church, with some fragments of fresco. 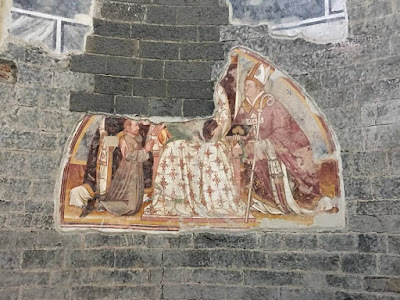 St Nicholas in front of the Madonna and Child, 15th century. Fragments of the 5th century pavement of the original baptistery. 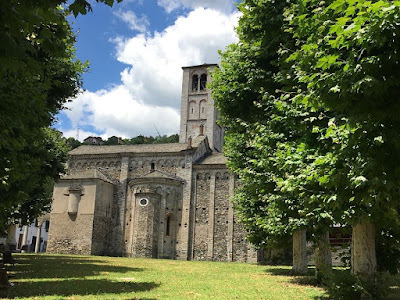 The church of Ss Gusmeo and Matteo, situated in park above the town, was originally a Romanesque building of the mid-13th century, but was radically restructured and its orientation reversed in 1533. The titular Saints are said to have been members of the Theban Legion, who fled from the massacre of their companions to the area of Gravedona, where they were captured, and then beheaded and buried on this site. The bell-tower was added in the 17th century, in a style that respects the original structure. 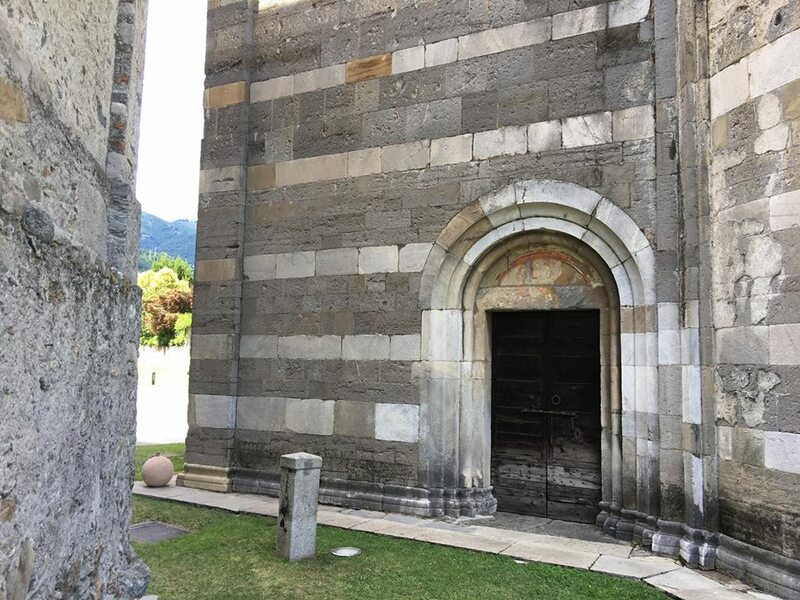 Evidence of the 16th-century restructuring of the church can be see on the right, where part of it was rebuilt. 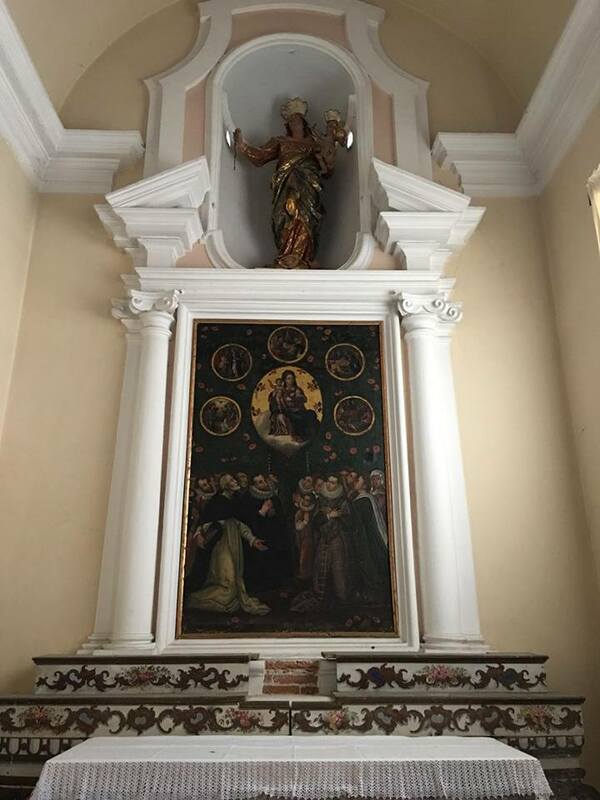 The altar with the relics of the Saints.